She provides professional development, and technical assistance to school districts throughout the United States. Dr. CampbellJones gives keynote address internationally and nationally on culturally responsiveness in diverse communities. Dr. CampbellJones is published in scholarly and professional journals. She is co-author of the best selling book, The Cultural Proficiency Journey: Moving Beyond Ethical Barriers Toward Profound School Change. She has served as principal of an award winning middle school, teacher, state and national staff development facilitator. Delores B. Lindsey, Ph.D, believes that the culture of an organization is best reflected by the communication skills, language and stories used within the organization. She captures many of these stories in her writing and speaking. 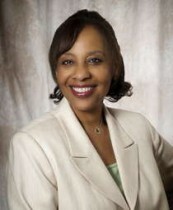 As former Director of the California School Leadership Academy at the Orange County Department of Education, Delores leads and coaches organizations using motivational and inspirational communication skills, “strategic visioning” techniques, team development strategies, and leadership standards for excellence. She serves a associate professor of educational leadership at California State University San Marcos. She is co-author of the books, Culturally Proficient Instruction: A Guide for People Who Teach; Culturally Proficient Learning Communities: Confronting Inequities Through Collaborative Curiosity; A Culturally Proficient Response To LGBT Communities: A Guide For Educators; and, Culturally Proficient Practice: Supporting Educators Of English Learning Students. 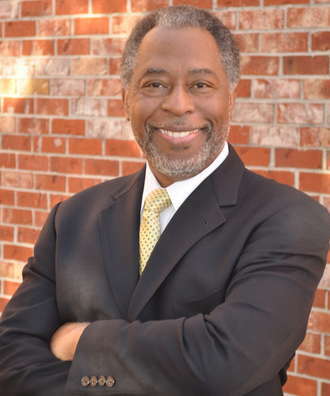 Randall B. Lindsey, Ph.D, has served as a teacher, an administrator, executive director of a non-profit corporation and recently as interim dean of education at California Lutheran University. Professor emeritus at California State University Los Angeles, Randy is a skilled facilitator on issues related to diversity and equity, as well as on topics of leadership, problem solving, long range planning, and conflict resolution. He is co-author of a myriad of books on the topic of education and societal equity. A select list of best selling titles include The Culturally Proficient School: An Implementation Guide for School Leaders; The Cultural Proficiency Journey: Moving Beyond Ethical Barriers Toward Profound School Change; Culturally Proficient Leadership: The Personal Journey Begins Within; Culturally Proficient Inquiry: A Lens For Identifying and Examining Educational Gaps; and Culturally Proficient Learning Communities: Confronting Inequities Through Collaborative Curiosity. Franklin CampbellJones, Ed.D. is Vice President of CampbellJones & Associates. He consults with school districts assisting them with applying the tenets of cultural proficiency to their policies and practice. Dr. CampbellJones facilitates professional learning seminars and gives keynote addresses to organizations nationally and internationally. He is co-author of The Culturally Proficient School: An Implementation Guide for School Leaders and The Cultural Proficiency Journey: Moving Beyond Ethical Barriers Toward Profound School Change. Franklin has served as teacher, administrator, and college professor.